She was the daughter of Joseph Cornelius Strother and Molly Bragg. [S1182] The Franklin Times, 5 Apr 2007. Birth*: Zelma Jeanette Strother was born on 25 August 1940 at Franklin Co., NC. She was the daughter of Joseph Glen Strother and Alma Lee Faulkner. Death*: Zelma Jeanette Strother died on 19 October 2007 at Louisburg, Franklin Co., NC, at age 67 . Birth*: Nancy G. Strum was born circa 1828 at NC. Marriage*: She married Harmon Haywood Renn, son of Harmon Renn and Tabitha Beckham, on 16 April 1848 at Granville Co., NC. [S2287] 1860 Mecklenburg Co., Va. Census. Birth*: Gwendolyn Stubbins was born on 27 March 1906 at MI. Marriage*: She married Walter Grissom Wrenn, son of Linwood Leonard Renn and Polly Strum, on 18 December 1930 at Centerline, Macomb Co., MI. Death*: Veronica Lane Styons died on 15 January 2002 at Plymouth, Washington Co., NC, at age 57 . Marriage*: Frances A. Suddeth married George Washington Faulkner, son of Peter Franklin Faulkner and Caroline W. Warren. Birth*: Frances A. Suddeth was born in 1847. 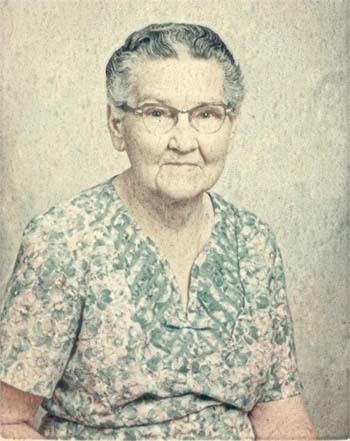 Death*: She died in 1913 at Hall Co., GA.
[S864] Allen Powell Dew, Allen Powell Dew and Neva Ann Daniel Ancestors. [S863] 1920 Columbus Co., N.C. Census. Birth*: Osborn Thaddeus Suggs was born on 27 September 1911. Marriage*: She married Seabrooks Bryan Renn, son of John T. Renn and Mary Frances Hawkins, circa 1913.